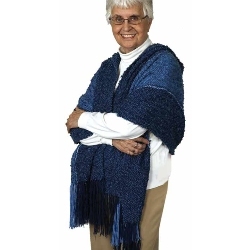 Let this prayer shawl be your "surrogate hug" when you can't be there for someone in her time of need. 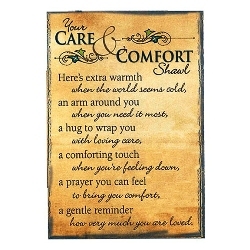 With an included gift card, it's a beautifully touching gift for one enduring an illness, mourning a loss, or experiencing any difficult situation. 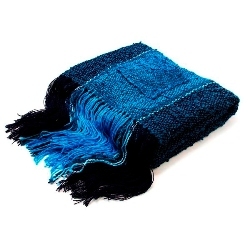 Generously-sized (80" x 22") and easy to care for, each shawl is hand woven of 100% acrylic yarns in soothing shades of blue by women trained in spinning and weaving through the ministry of Casa Ursulina located in Chilán, Chile. Included pamphlet tells of this organization's good works.